Learn the four basics that any event app should include, plus a fail-proof method for evaluating your top choices. Event apps are changing the way we communicate at our events. Suddenly there are a wealth of vendors and features to choose from, which means it isn’t getting any easier to narrow down and make a final decision. It’s time to make the number of apps available to you a benefit rather than a burden. 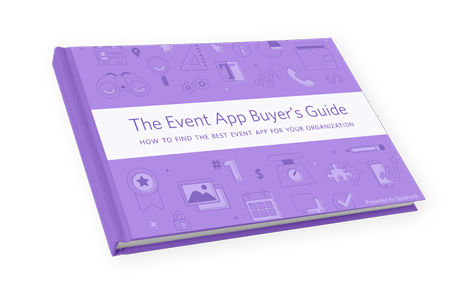 We attempted to make things easier on event organizers looking to choose the best app for their events by creating The Event App Buyer’s Guide, which puts a process to the otherwise cumbersome activity of evaluating event apps. By doing so, we determined four basic areas in which event apps should deliver regardless of your event’s specific needs. Seems like a no-brainer, right? A lot of people’s motivating factor for going mobile stems from a desire to get rid of the hassle and cost associated with printing loads of paper programs. It almost goes without saying, but an event app should be a formidable replacement for anything that you could create on paper. An app needs clear schedules. It should be flexible enough to provide lists of information – speakers, sponsors, vendors – with accompanying photos and links. And you should even have the freedom to provide additional value beyond what you could with paper like including the daily weather forecast, for instance. Essentially, is your event app a good guide? At the end of the day the quality of the content is up to you, but with an event app platform you can’t control is the physical design of the app. If you have reservations about an event app’s layout or usability, chances are your attendees will feel that tenfold. Design can be subjective, but an app’s usage should be fairly self-evident despite its individual style. Simplicity wins the day; too much too soon or extraneous features will sour your attendees’ experience and your boss’s interpretation of the app’s value. An event app’s real value starts to shine when you consider its abilities outside of simply replacing a paper program. 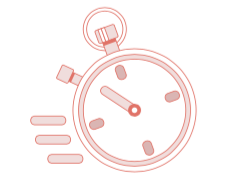 You can fundamentally change the way you run your events with the power of mobile tech! Perhaps the most gratifying of these immediate enhancements is the ability to instantly communicate with your audience as a whole. Any event app should allow its administrator to make changes on the fly and instantly push those changes to each user. We all know that a paper program is out of date the instant it’s sent to the printer. With an event app, you should never be in that situation. In the same vein, a good event app is also a portal for messaging your attendees as a group. This means a reliable mechanism for sending push notifications and in-app messages is a must. 75% of event attendees identify themselves as having a “strong interest” in networking. If we, as event organizers, are being told that it’s high on the priority list for our attendees, it stands to reason that we would actively want to provide and enhance that value. Attendee networking is where you’re going to run across some of the more flowery and fanciful offerings in your search for an event app. They could be anything from matchmaking to proximity sensing, but regardless of complexity level a good app will give attendees a way to make a lasting connection while at your event. If you find yourself lost in a sea of networking features, remember that most attendees are just looking for a simple way to swap a message or contact information with the like-minded folks they meet (as opposed to joining yet another cumbersome social network). With that, their connections can continue to live on beyond the event itself. An event app will touch virtually every aspect of your event. As a result, you should be able to take advantage of the data it’s collecting to improve your offerings year over year. Event apps are great for collecting attendee information it was previously impossible to know. There is an infinite amount of insight your event app provider can surface through your attendees’ actions within the app, but look for a metrics suite that helps you measure the value you’re providing your attendees and sponsors. This will help you not only provide ROI metrics to your sponsors, but can also help calculate ROI for your overall event. More anecdotal feedback can be collected through feedback surveys. A good event app will allow you to collect both general feedback, and feedback on individual sessions. Knowing your own measures of success up front will help you evaluate the metrics offerings of event app providers. 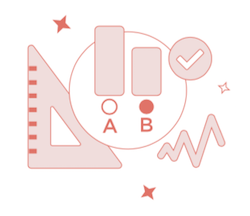 These four basics are a great place to start when it comes to evaluating an event app – but there are other elements to take into consideration as well. Many event organizers need to factor in a budget, special feature requests, and the method by which they will create and maintain the content within the app. For a step-by-step guide to evaluating event apps, download Guidebook’s Event App Buyer’s Guide. We’ve even included a customizable Event App Scorecard that will allow you to rank your choices on a numeric scale, based on how vendors perform in the most important areas. It’s free to download, so don’t miss out on the valuable insight offered inside! Just fill out the form below and it will be sent straight to your email.